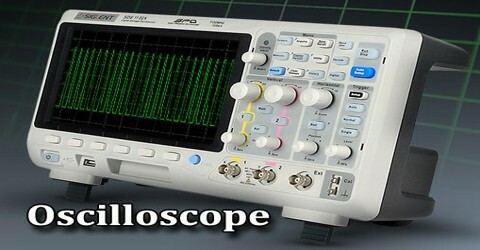 Oscilloscope is an electronic instrument, which is used to observe and measure changing electrical signals. The amplitude of the signal as it varies with time is displayed graphically on a screen as a line stretching from left to right, with displacements up and down indicating the amplitude of the signal. A typical oscilloscope can display alternating current (AC) or pulsating direct current (DC) waveforms having a frequency as low as approximately 1 hertz (Hz) or as high as several megahertz (MHz). 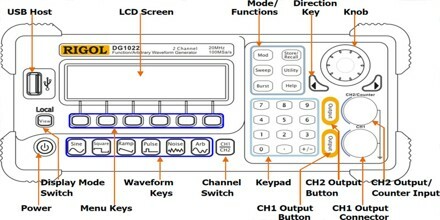 High-end oscilloscopes can display signals having frequencies up to several hundred gigahertzes (GHz). 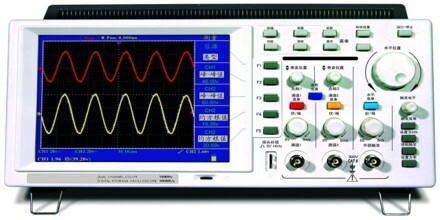 Oscilloscopes are used in the sciences, medicine, engineering, automotive and the telecommunications industry. Oscilloscopes are actually used to observe the change of an electrical signal over time, such that voltage and time describe a shape which is continuously graphed against a calibrated scale. The observed waveform can be analyzed for such properties as amplitude, frequency, rise time, time interval, distortion and others. Modern digital instruments may calculate and display these properties directly. Originally, calculation of these values required manually measuring the waveform against the scales built into the screen of the instrument. Oscilloscopes can be used to measure and analyze the operating characteristics of power conversion devices, circuits, and line-power harmonics. Oscilloscopes are used to diagnose problems in electronic signal-processing devises, such as computers or stereos, and to monitor electrical activity in the body, such as that of heartbeats. Oscilloscopes are used to test CD/DVD and disk drive designs by measuring disk performance, media noise and optical recording characteristics. Oscilloscopes are used to characterize and debug signal jitter as well as timing for clocks, clock-to-data and datastream analysis. The oldest form of oscilloscope, still used in some labs today, is known as the cathode-ray oscilloscope. It produces an image by causing a focused electron beam to travel, or sweep, in patterns across the face of a cathode ray tube (CRT). More modern oscilloscopes electronically replicate the action of the CRT using a liquid crystal display (liquid crystal display) similar to those found on notebook computers. Oscilloscopes with two vertical inputs, referred to as dual-trace oscilloscopes, are extremely useful and commonplace. Using a single-beam CRT, they multiplex the inputs, usually switching between them fast enough to display two traces apparently at once. Some oscilloscopes have cursors, which are lines that can be moved about the screen to measure the time interval between two points, or the difference between two voltages. A few older oscilloscopes simply brightened the trace at movable locations. These cursors are more accurate than visual estimates referring to graticule lines. 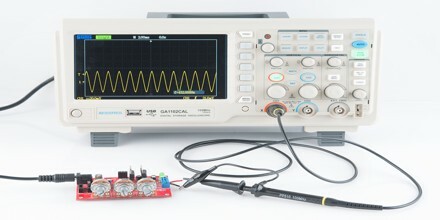 A digital storage oscilloscope (DSO) is basically a computer optimized for data acquisition. At the heart of a DSO are one or more high speed analog-to-digital converters. These ADC sample analog voltages and display them on a computer screen. Digital scope can do many things that analog scope cannot do. First of all the digital scope digitizes the wave form and can hold it on the screen forever. Reference: dictionary.com, techtarget.com, oscilloscopeguide.com, wikipedia.